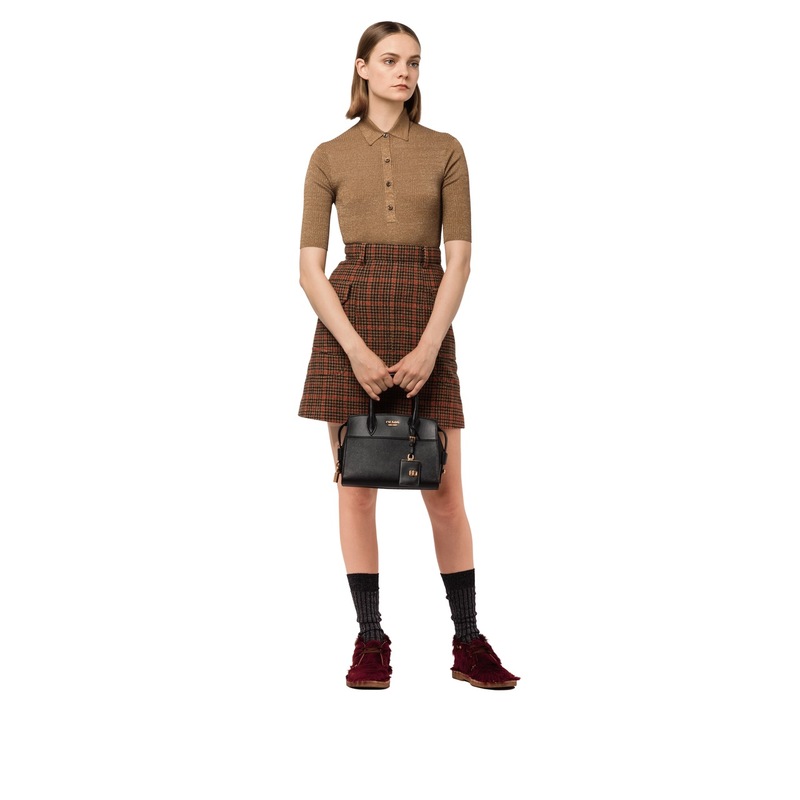 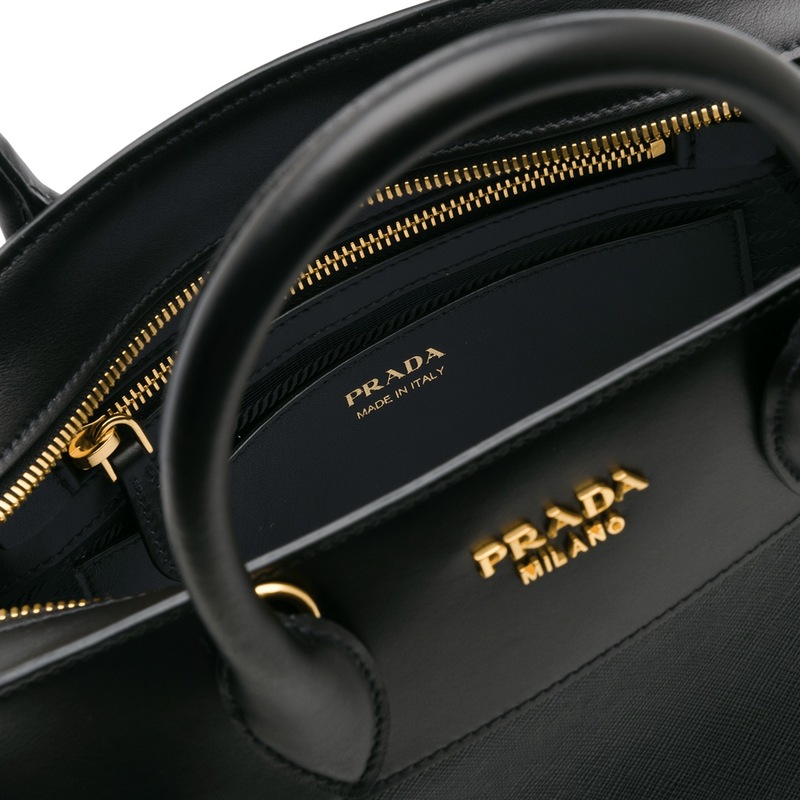 The Saffiano and calf leather Prada Esplanade bag. 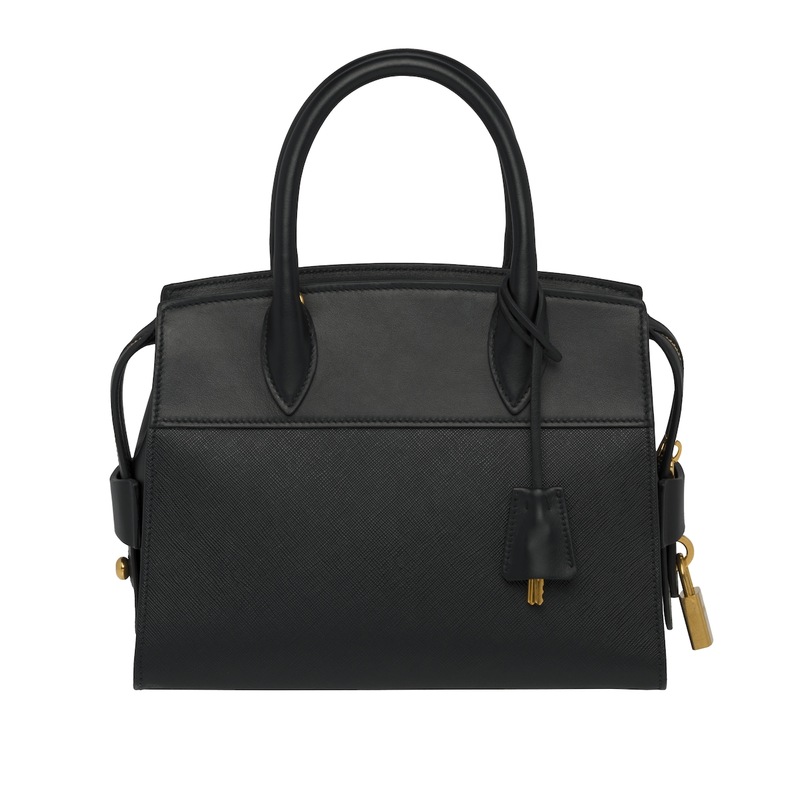 The outside is accented with gold-toned hardware at the Prada logo, lock and zipper. A detachable shoulder strap lends versatility.